The browser has gone from being just another app on your computer to being your workflow’s centerpiece. For some of us like me, it is the workflow. But at the end of the day, browsers are apps too. And it can get a tad messy when you’re trying to do everything on one app. Here are some useful Google Chrome extensions for a better multitasking experience. If you’re someone whose work largely revolves around internet services and the browser, you know how cumbersome it is to juggle between tens of windows and tabs. Enter Workona, a free extension that brings desktop workspaces to Google Chrome. Unlike what you’d expect, Workona won’t radically overhaul how the browser functions. Workspaces on this extension are essentially different windows. What Workona does is allow you to easily manage them from a central dashboard. You can create new projects right from the dashboard, add tabs to them, and switch between multiple of them without furiously pressing the key combo until you land the one you’re looking for. In addition, Workona also lets you save these workspaces and even share with other users. Another nifty feature is a minimal New Tab page with a search bar situated at the top through which you search through those workspaces, tabs, or bookmarks. Bookmark OS is another extension designed to make your browser behave more like a regular operating system. It’s a sophisticated bookmark manager which employs a file structure similar to that of your desktop. So like you would browse Finder or File Explorer on your computer, you can do the same with bookmarks on Bookmark OS. The platform’s interface too resembles a file manager with a list of folders on the left, bookmarks (files) on the right, and a top panel of options. You can easily drag these items across and search a particular one. The bookmarks also have their page’s screenshots as thumbnails and there’s even an option for changing the view. Bookmark OS is a subscription-based service which costs a dollar every month. 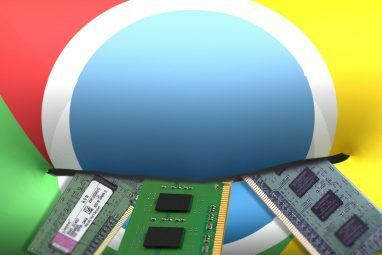 The Google Chrome store has a ton of tab management extensions The 10 Best Extensions for Chrome Tab Management The 10 Best Extensions for Chrome Tab Management If you’re a multi-tasker, you love tabs. Maybe a little too much. Here are 10 extensions that will help you deal with the tab overload. Read More but the one which might appeal the most to a power internet user is Tab Manager Plus. Instead of cosmetics, the Tab Manager Plus is all about function. It sits on the Omnibox and when you click it, you have a panel listing all your active tabs and windows. Tab Manager Plus arranges them vertically and employs icons instead of the entire name so that you can access everything without scrolling too much. What’s more, in the same panel, you have every essential action you would need as well. There’s the ability to minimize windows, search tabs, open a new empty one, and more. You can also switch to a grid mode if you want even more information in a single view. In spite of all these options, Tab Manager Plus doesn’t feel cluttered at all. Tab Resize, as its name suggests, is for resizing windows into layouts. The extension’s handy menu lets you easily shift to different arrangements such as two windows side-by-side or four of them hoisted onto every corner. Tab Resize even allows you to build layouts of your own by specifically configuring the columns and rows. You can also make use of shortcuts to quickly jump into a particular formation. Despite the fact that a ton of users has more than one profiles, today’s browsers still don’t allow concurrent multiple sessions in the same window. 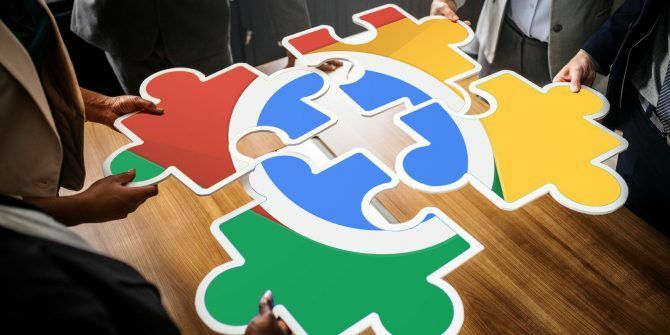 Thankfully, there are a bunch of third-party session management extensions How to Manage Multiple Browsing Sessions in Google Chrome How to Manage Multiple Browsing Sessions in Google Chrome These excellent Chrome extensions help you manage multiple accounts on the same browser window with ease. Read More —we recommend installing SessionBox. The extension offers a host of utilities for creating and managing new sessions. Once installed, you can initiate as many as instances of a website as you want and even color-code or group them. For example, you can put your professional tabs in one and personal tabs in another to effortlessly switch between them. There’s also a feature for sharing these sessions and sync with other computers you own. Papier is a simple extension for taking quick notes on the New Tab page. It offers a no-frills, pragmatic design making it ideal for jotting down thoughts when you are in a hurry. The extension can be accessed offline as well and even has a bunch of editing tools for when you need it. There’s also a dark mode for those long late night sessions. Another extension which you should have installed if you mostly spend the day in a browser is The Great Suspender. The extension essentially ensures the tabs you’ve not used in a while don’t end up choking your computer’s performance and your multitasking experience remains smooth. It does so by simply putting them in sleep and when you revisit them, it automatically reloads the tab. The Great Suspender itself is a quite lightweight tool so that you don’t have to worry about it consuming resources by being active all the time. Does the browser still feel sluggish? 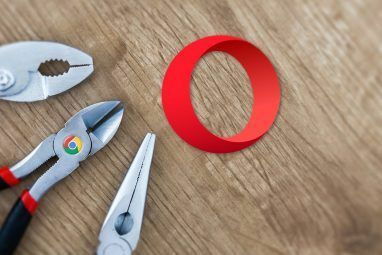 Try these tips for improving Google Chrome performance 31 Power Tips for Chrome That Will Improve Your Browsing Instantly 31 Power Tips for Chrome That Will Improve Your Browsing Instantly This guide covers power user tips for making the most of Chrome's features and some extensions that will expand Chrome's functionality. Read More . Every multitasker needs a to-do app and among the sea of a gazillion of task management, we feel TickTick ticks all the boxes. The service, in addition to lists and reminders, offers all the bells and whistles you would need including collaborative features, a quick menu for Chrome, and more. And the best part is most of these features can be accessed without the premium subscription. Still not convinced? Here are more reasons why TickTick is the best to-do manager Why TickTick Is the Best To-Do App for Android Why TickTick Is the Best To-Do App for Android A to-do app is essential for getting things done in a timely manner, and TickTick is the best app for the job. Read More . For all your screenshot and screen recording needs, try Nimbus. The extension can be called a swiss army knife of screen captures and comes with nearly every feature you would require for the purpose. That includes recording a specific portion of the window, annotation, adding watermarks, and a whole lot more. 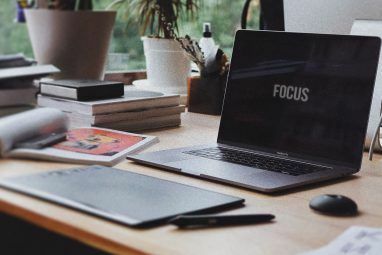 While the aforementioned plugins help you multitask in the most efficient way possible on a browser, Google Chrome’s web store offers also a multitude of extensions you can install for supercharging your productivity 12 Productivity Extensions That Keep You Focused on Deep Work 12 Productivity Extensions That Keep You Focused on Deep Work It is hard to focus. You need extra help to limit your online time to get back to work or get out of the house for some fun. We have the tools for you. Read More . Explore more about: Browser Extensions, Google Chrome, Multitasking, Productivity Tricks. Great post. Thanks. Snapped up 6. Papier: Take Notes on the Fly, 9. Nimbus: The Ultimate Screen Capture Tool.